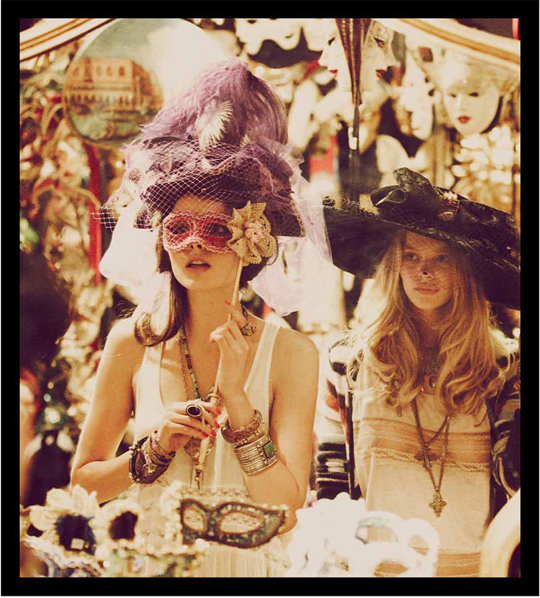 I am loving these shots from Free People's August 2011 lookbook, taken by photographer Guy Aroch in Venice, Italy. 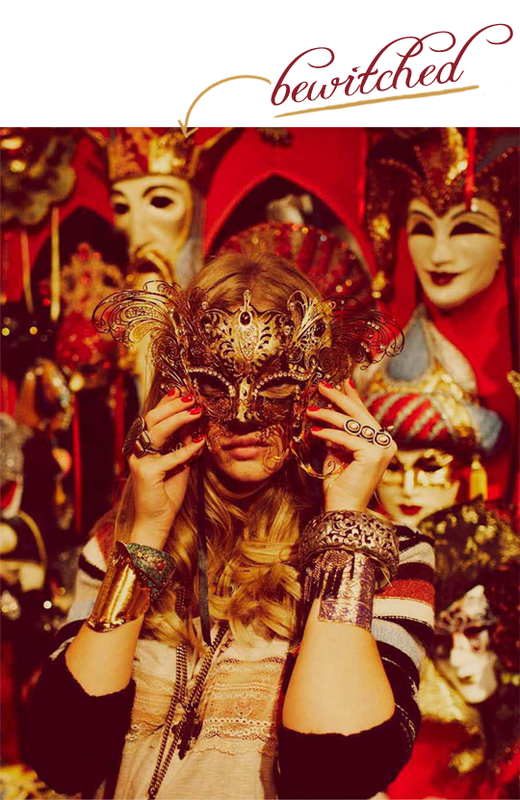 Masks and layered jewelry paired with Free People's trademark bohemian-style garments create almost a bewitching, enchanting feel. The candidness of Aroch's photos (of models Marloes Horst and Darla Baker) is pretty amazing too. It almost makes it look like the photos were taken on a magical, late night Venetian adventure rather than for a lookbook shoot. Very inspiring. Not that I'm nearly ready for summer to be over, but don't you think this lookbook is kind of perfect for the transition into early fall? Oh Monday, how quickly you always arrive. I hope you all had a wonderful weekend! August sponsor spots sold out very quickly, and as of now there are just three 100x100 pixel size spots still open. These spots are only $10 so they're a wonderfully cost effective way to advertise your shop or blog to thousands of interested readers and creative spirits! For more information, visit the Sponsor Page. These are soooo colorful and inspiring! Stunning !! Can I have one of everything...including props! speaking of fall...i am so ready for it! I love the style in these pictures... very pretty but very magical! Lovely! Now I must check their site!